Don’t start your business, launch it! Alex and Jennifer show us two keys to winning in this profession. And also, strategies on training new teammates. Who are Alex and Jennifer Le? 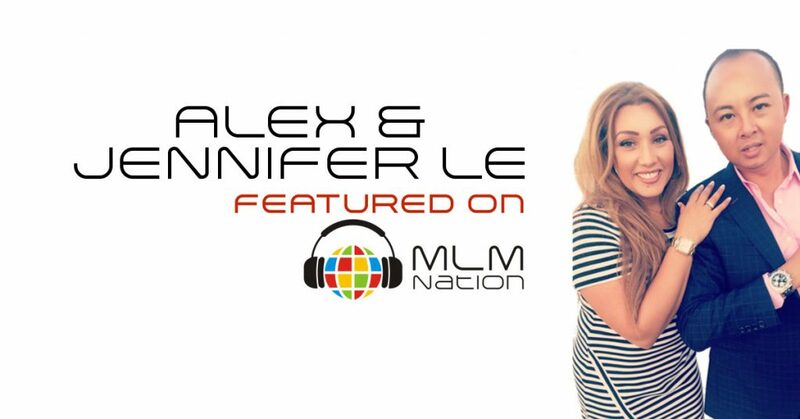 Before they discovered network marketing, Alex and Jennifer Le were business owners in the salon industry for over 17 years. They made a comfortable income but had to work 80 – 100 hours a week and had no time. Their daughter Chelsea literally grew up in the salons as she would do her homework in the salons everyday after school and watch her parents work. Alex had health issues when some great friends introduced them to these products made by a MLM company. Alex was able to get his health back on track and got started in the business. Today they are Purple Diamonds and have a business that generates over 18 million in annual sales. They’ve received multiple awards from their company and have a global business of thousands of distributors.